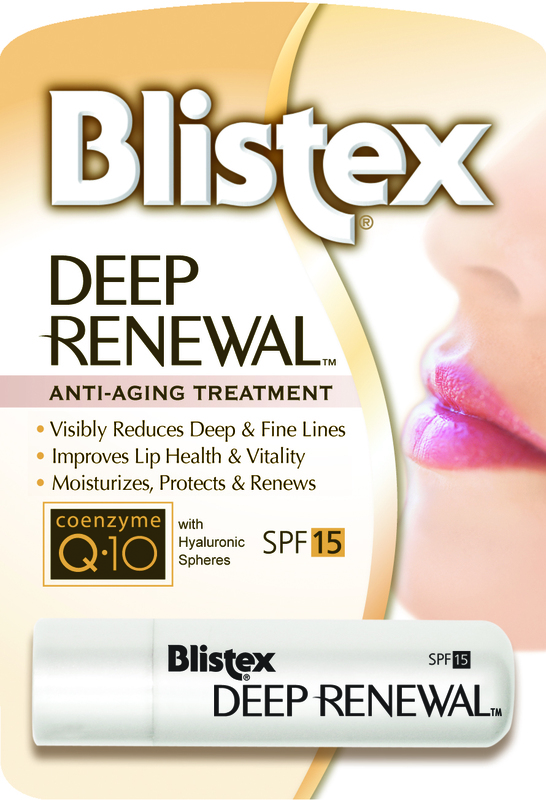 Introducing Blistex Deep Renewal Lip Protectant / Sunscreen with Anti-Aging Treatment! Blistex Deep Renewal Lip Protectant recently was awarded by Singapore Women’s Weekly Best Beauty Buy 2013 as Best in Lip Treatment! Lip Protectant / Balm is a necessary item for me whenever I travel, my lips will tends to get dry on the plane and we need to protect our lips being chapped especially in cold weather countries. During my recent trip to Bangkok, I brought Blistex along with me and tried it! It’s one of the best Lip Protectant I have used so far. Blistex Deep Renewal Lip Protectant able to keep my lips moisturize half day without keep applying it every hour. With the SPF 15 it helps to protect my lips under the hot sun in Bangkok, helps relieve chapped or cracked lips and prevent sunburn. Blistex Lip Protectant has a slight lemon smell which makes you feel refreshed, no oily and sticky feel after applied. Blistex Deep Renewal utilizes best-in-class ingredients for beautifully cared-for-lips. Coenzyme Q-10 – the gold standard for moisturization and overall revitalization. Hyaluronic Filling Spheres – help give lips a fuller appearance. 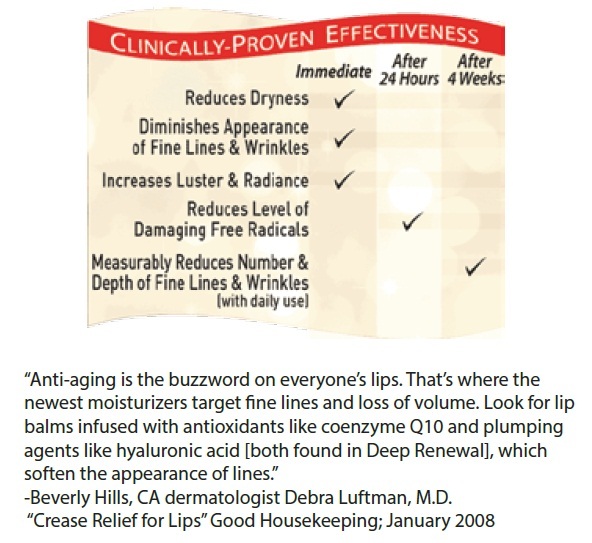 Vitamin – Collagen Anti-oxidant Complex – promotes lasting lip health. Light – refractors – contribute to improving lips’ luster and youthfulness. Sun protection – SPF 15 helps protect against sun damage that can accelerate the aging process. Blistex Deep Renewal and other Blistex products are available in Guardian, Watsons, John Little, Robinson and SaSa. Blistex kindly sponsored 1 retail size Blistex Deep Renewal Lip Protectant to one of my reader! Contest ends on 24 Feb 2013 (Sunday) at 6 pm! You have won a Blistex Deep Renewal Lip Protectant! Please email me your Name & Address, I will mail you the item.